This Customized Program is Designed for Women Who are Looking to Build Lean Muscle and Lose Body Fat. What is the Get in Your Best Shape program? 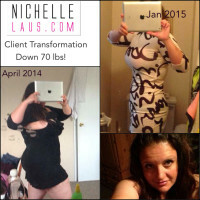 It is a 12 week customized transformation program for women. Once you join, you will receive some forms to be filled out. This gives me an idea of your goals, any injuries, food sensitivities, etc. Your meal plans will be sent out every 2 weeks, and your training routine every 4 weeks. These plans are designed on the spot and are customized to your personal goals. How does the Get in Your Best Shape program differ from the Fit and Fabu-LAUS program? I design vegetarian, vegan, and gluten-free meal plans to suit your needs. I design gym workouts as well as a home workouts. With the Get in Your Best Shape program, there will be an instructional email sent out with your initial plans that should cover all your questions. I am also available for support throughout your journey, and you will also have access to our private Team Laus Facebook group. It is a place to have fun, share comments, ideas, journey joys, jokes, and of course, my favorite, flexes! The girls are absolutely amazing and so helpful and supportive of one another! “I had always wanted to compete in a bikini or figure competition with the Alberta Bodybuilding Association. Many many reasons why I couldn’t compete always cropped up. Time being the biggest factor. So I made some. I retired from the Oilers Octane Cheer Team, signed up for the 12 Weeks to FabuLaus program and picked up a month to month pass at the closest gym to my house. I saw results within the first two weeks. I had almost 100% more energy, I was sleeping better, I was more productive & positive at work. Hands down I was just happier. I’m not going to lie and say it was a breeze. There were some hard days. Especially over the holidays. But I made the choice to keep on track. I kept reminding myself about the goals I told Nichelle I wanted to achieve in the new few years. 1. Compete in my first Bikini Competition – it’s in May and I feel so incredibly prepared for the next 5 months of contest prep. 2. Take home the top 3-5 of my age category within the next couple of years of competing. 3. Be featured in or on the front cover of a respectable fitness magazine. 5. Do another photoshoot with Dave Laus, and I’d love to work with Aresnik Studios, Paul Buceta and Mike Prado to name a few. 6. Star in an action movie with, or go to the gym with or take a picture with or a shoutout in instagram from, heck I’ll take a wave from across the street from The Rock. Im a total fan girl. 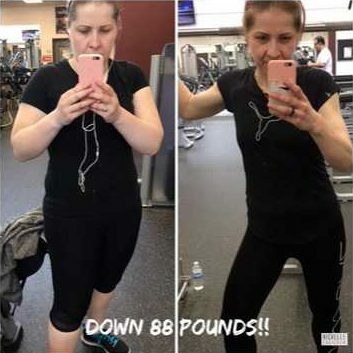 “After two devastating tragedies in my life in 2011 that left me emotionally crippled and depressed for a very long time, I gained a lot of weight. In the end, I was 251lbs.I look back to last February and I remember being a single mom of three, severely unemployed and broke, fat, depressed, and surviving on cookies, pastries and other sweets. I cried. I slept. I ate. That was my life.